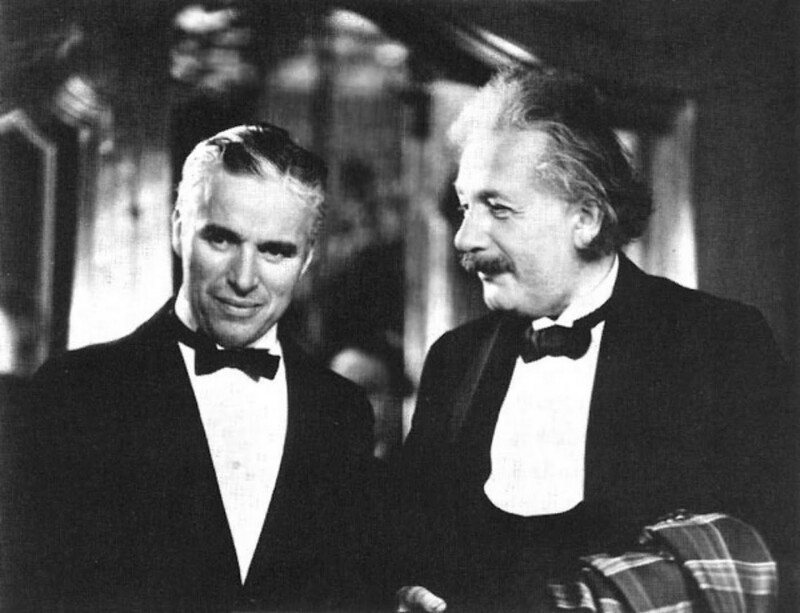 It seemed fated that the world’s greatest scientist would meet the world’s greatest comic film star. Each was awe-struck by the other, admiring the distinct variety of genius that the other possessed. Though he had deciphered many of the secrets of space, time and gravity, Albert Einstein was captivated by Charlie Chaplin’s seeming possession of the keys to the human heart. And though, through his famous Tramp character, Chaplin could well move an audience to laughter and tears, he valued the intellectual respect possessed by the most brilliant thinker of the age. Each revered the other’s magnificent creativity and extraordinary diligence. True, an ocean separated them, but that would readily be breached once the German physicist became curious about the science and scenery of southern California. By winter 1931, when their first encounter would take place, each was at a tricky point in his career. Iconoclastic opinions had exposed each to the mockery of his peers. Much to Hollywood’s bemusement, Chaplin was the only major filmmaker still producing silent pictures. Believing that sound was destroying the art of pantomime, he wanted to be its saviour. During the same period, Einstein had similarly isolated himself through a principled stance. By eschewing the “dice-rolling” of quantum mechanics, he had removed himself from the arena of mainstream physics. Instead, he worked quietly on his fully deterministic unified field theories, a pursuit as sociable as solitaire. Yet though he was essentially alone, he expressed confidence that diligent research would eventually reveal the hidden dynamics of physical reality. After all, the beautiful mathematical structure of his relativistic vision of gravity had been splendidly confirmed by measurements of Mercury’s orbital procession, the bending of starlight by the Sun and, most impressively, the expansion of the universe itself. It was the latter finding, recorded by Edwin Hubble at California’s Mount Wilson Observatory, that offered one of the principal incentives for Einstein’s transatlantic voyage. The physics faculty at Caltech, including Richard Tolman and Robert Millikan, invited Einstein for a two month research visit. While sharing ideas with his American colleagues, Einstein would also have the opportunity to visit Mount Wilson, meet Hubble and experience first-hand the remarkable verification of his prediction that spacetime is a dynamic entity. Accompanied by his wife Elsa and his personal “computer” Walther Mayer, Einstein sailed across the Atlantic, through the Panama Canal, then up the coasts of Central America and Mexico. When they arrived at the port of San Diego, they were greeted like heroes returned. As massive crowds pressed against the docks for the chance to witness a scientific superstar, a parade of smiling “mermaids” on floral floats welcomed him to the Golden State. After settling into a cosy cottage in sunny, palm-tree-lined Pasadena, Einstein and his party decided to explore some of the local attractions. They were treated to a personal tour of Universal Studios by its founder and proprietor, German immigrant Carl Laemmle. As Einstein requested and Laemmle arranged, Chaplin met the group for lunch. The meal was all too brief, however, so Mrs. Einstein took the liberty of suggesting a later rendezvous for dinner. Chaplin volunteered his posh estate as a suitable venue. Enthralled by the prospects of having the founder of relativity visit his mansion, Chaplin went to great lengths in his preparations. He wanted the meeting of minds to be memorable. Realizing that he didn’t know enough physics himself to keep the conversation rolling, he decided to call upon one of his best friends, Dr. Cecil Reynolds, to join them and raise suitably poignant questions. Reynolds wasn’t a physicist; rather he was a trained brain surgeon (and Chaplin’s personal physician) who happened to be casually acquainted with the subject. Apparently, that earned him enough credentials to act as an intermediary. Physics and brain surgery were far from Reynolds’ only interests. He was also an aspiring actor, taking bit roles whenever they were offered. He would play the part of a jailhouse minister in Chaplin’s Modern Times. His greatest contribution to Hollywood, however, would be medical consultant for the film Frankenstein — offering splendid advice, no doubt, on how to simulate brain transplants. The filming would take place at Universal Studios during the same year as Einstein’s visit. By all accounts, the dinner party went splendidly. Einstein was awed by Chaplin’s manor — a far cry from his own humble flat in Berlin. 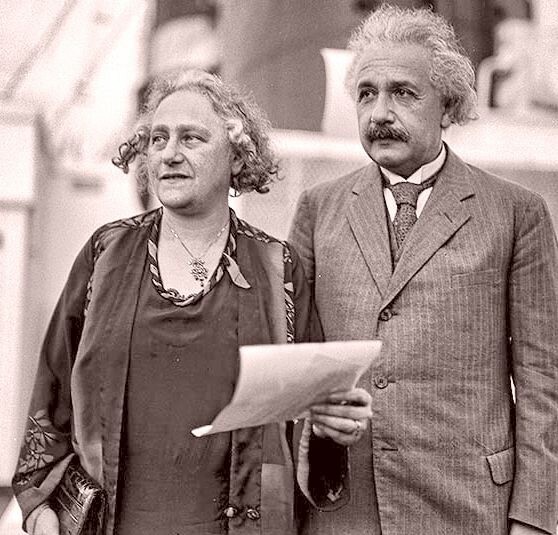 Mrs. Einstein regaled the guests with an amusing, but rather far-fetched story about how her husband developed the theory of relativity there while playing on his piano and jotting down notes between musical interludes. Then it was Reynolds’ turn to join in. The theatrical neurosurgeon asked Einstein if he had read a recent book, An Experiment with Time by J.W. Dunne. Dunne’s bestselling treatise speculated on connections between Einsteinian relativity and prognostication. Einstein shook his head, so Reynolds proceeded to elucidate it to him. It involved “an extension of a dimension,” Reynolds explained. “What’s that?” the bemused professor whispered to Chaplin. Failing to generate the learned scientific discussion he sought, Reynolds switched to a new topic. He asked Einstein if he believed in ghosts. Einstein responded that he’d believe only if a dozen independent witnesses confirmed that they saw one. Otherwise not. What about levitation, psychic communication and other mystical phenomena? No, Einstein responded, smiling politely. Reynolds choice of topics reflected a popular association between higher dimensions and mysticism that dated back to the late-19th century. In 1869, James J. Sylvester, president of the Mathematical and Physical Section of the British Association for the Advancement of Science, published a influential article in Nature calling for a recognition of the reality of the fourth dimension. Then in 1873, British mathematician William Clifford translated and published German geometrist Bernard Riemann’s treatise on higher-dimensional non-Euclidean spaces. These pieces introduced mathematically literate segments of the English-speaking public to the notion of hyperspace. Riemann’s work would later form the basis of Einstein’s general theory of relativity. Unfortunately, in 1877, a sensational trial in London raised a far different vision of higher dimensions, one that cemented its connection in the public mind with the world of the supernatural. That year, American magician and proclaimed psychic Henry Slade was charged with using “subtle crafts and devices, by palmistry and otherwise,” to mislead his zealous followers. Slade’s tricks included linking solid wooden rings and removing objects from sealed containers. Fascinated by these feats, German physicist Johann Zöllner came to Slade’s defence, purporting that these were indications of motion through the fourth dimension. Consequently, general respect for higher-dimensional maths suffered along with Zöllner’s reputation. The notable exceptions were those of a mystical or psychical bent. For example, members of the nascent Theosophists and Society for Psychical Research readily embraced the idea that the fourth dimension might serve as a conduit for telepathy, precognition, telekinesis and other such phenomena. No wonder Reynolds treated these subjects as integrally connected. Einstein returned to Berlin in Spring 1931. 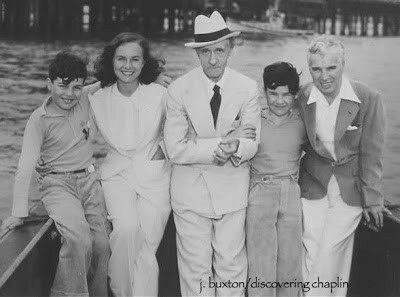 He maintained an ardent friendship with Chaplin, meeting with him in Germany and California several other times. As gleefully reported in his autobiography, Chaplin even got a chance to see the piano on which relativity was allegedly composed. Curiously, Einstein’s next major research project involved something like “an extension of a dimension.” Along with Mayer, it was an attempt to construct a unified field by grafting an extra dimension onto the body of general relativity. Einstein’s hope was to supersede the need for probabilistic quantum theory by mapping out hidden, deterministic, higher-dimensional connections between various space-time occurrences. Did “Frankenstein’s brain surgeon” somehow influence the great professor to devise his hybrid model? Highly unlikely. Yet perhaps because of incidents such as his dinner party with Chaplin and Reynolds, Einstein consistently pointed out in his writings that higher dimensions had nothing whatsoever to do with mysticism. He wanted no ghosts-or quantum daemons — to haunt the clockwork mechanisms of his universal theories. Paul Halpern is the author of Einstein’s Dice and Schrödinger’s Cat: How Two Great Minds Battled Quantum Randomness to Create a Unified Theory of Physics.